Jurgen Klopp says Liverpool midfielder Emre Can entering into the final 12 months of his contract is not a good sign. Answering press questions ahead of their second clash with Hoffenheim for UCL last qualification round, the former Borussia Dortmund boss opined that it is really not in the best interest of Liverpool to watch their employees contract run its course. It puts them in a position of weakness should contract renewal battle drums roll out. According to NetBet.co.uk, Can is odds-on to sign a new contract before the close of the transfer window. 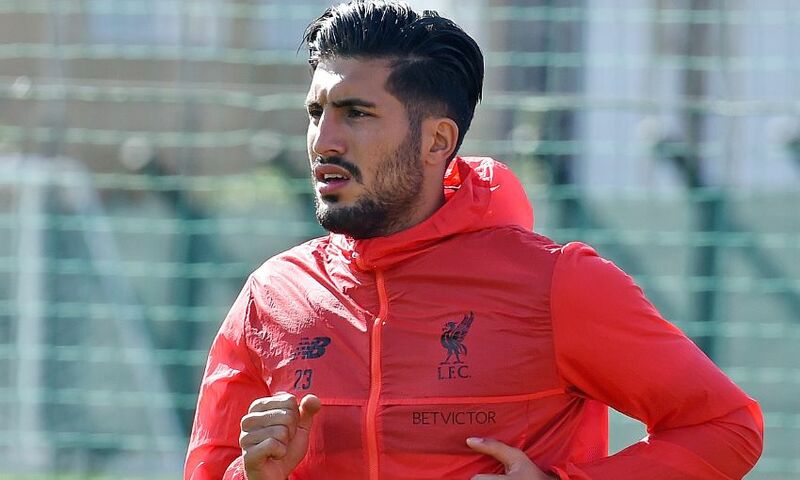 ”It is an important contract for [Emre Can] at his age. I am 100 percent sure that we don't sell the player now in this situation. Not a player from the first-team lineup for sure. He will play here for the next year that is for sure. All the rest we have to see,” said Klopp. Negotiations for the Germany international were reported in May but it appears both halves of the discussion’s round table could not find a mutual ground to stand on. Meanwhile, Liverpool legend Jamie Carragher is hoping that his former club will splash the cash in the final month of the transfer window. The Reds have spent reasonably this summer with the likes of Mohamed Salah and Andrew Robertson having joined from AS Roma and Hull City respectively, whilst Dominic Solanke has arrived on a free from Chelsea - subject to a tribunal. The likes of Manchester United, Manchester City and Chelsea have coughed up huge sums to bring in top-class players this summer, but Klopp has called for patience in the market as he plans to bring in quality signings who could fight for a spot in the starting lineup. Carragher admits that the club's faithful would be nervous over the club's transfer activity, but he is hopeful that the club will bring in the right players before this month's transfer deadline, he said: "To be honest, I think we were all hoping that we would have been a lot happier at the stage. However, you’ve got to have patience. I’m sure the club are working 24/7 behind the scenes to bring players in, not only to keep the supporters happy, but to strengthen the squad for the big season ahead. I think Jurgen Klopp is looking to bring in quality rather than quantity, which is something that I’m personally happy with too." Carragher also admits that Liverpool have cooled their interest in Naby Keita with RB Leipzig reluctant to place a price on his services. The Reds are nevertheless expected to try for his signature next summer when his £47m buyout clause will become active. Adam Lallana suffered a thigh injury during the Audi Cup final against Atletico Madrid earlier this month, and his setback is likely to push the Reds into a midfield signing prior to the end of the transfer window. Arsenal's Alex Oxlade-Chamberlain remains a suitable target, but the Gunners are prepared to risk their attacker for the final year of his contract.